Finally I got a chance tonight to update my DotNetOpenAuth extension for Glimpse. I’ve pushed the update out to Nuget so go ahead and update now. 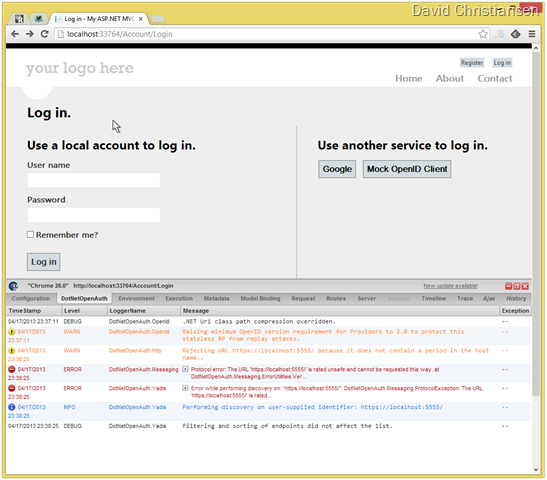 This extension attaches to the internal logging of DotNetOpenAuth and provides you with a view directly within your browser.